Extend USB 2.0 devices up to 330ft (100m) over a Gigabit Ethernet LAN, or dedicated Cat5e/6 cabling. 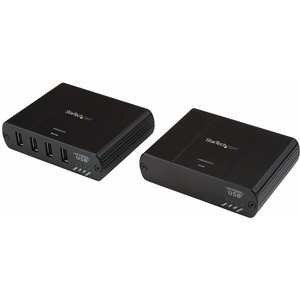 The USB2G4LEXT2 4-Port USB 2.0 Extender System lets you extend USB devices over a Gigabit Ethernet Local Area Network (LAN), or through dedicated Cat5e/6 cabling up to 330ft (100m). Connecting over your existing IP LAN avoids the hassle and cost of running new infrastructure cabling and provides an increased and highly scalable overall extension distance. When channeling through multiple switches at 100m intervals, the maximum extension distance resets at each switch location, making it easy to span multiple floors in a home or office setting. 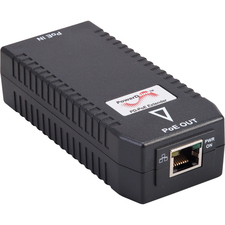 For further versatility you can connect the local and remote units via a single Cat5e or better cable. 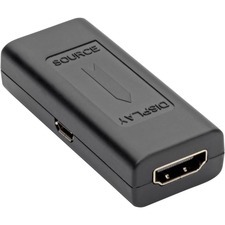 Unlike 10/100Mbps USB extenders, this versatile USB extender leverages the full data transfer potential of your USB 2.0 peripherals up to 480Mbps, to deliver lag-free performance that enables support for extending isochronous devices such as webcams or microphones. 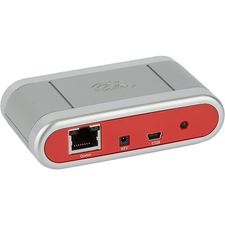 Compatible with USB 2.0, and 1.1 devices with support for up to 600mA of power per port, the USB over Cat5e extender supports most USB peripherals including flash drives, webcams, keyboards, mice and drive enclosures. 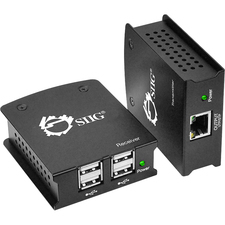 A flexible solution for business or industrial applications, this rugged metal enclosure includes wall-mounting brackets and simple plug-and-play installation with no software or drivers required. Backed by a StarTech.com 2-year warranty and free lifetime technical support.